VIERNES 12 DE ABRIL. 12 HORAS DE CONFESIONES: DE 5:00 P.M. A 5:00 A.M.
7:00 A.M. BENDICIÓN DE PALMAS FRENTE A LA PARROQUIA. Y MISA. 9:30 A.M. BENDICIÓN Y PROCESIÓN DE PALMAS (CATECISMO INFANTIL). LUGAR DE SALIDA: EN LA CONCEPCIÓN. 10:00 A.M. CELEBRACIÓN EUCARÍSTICA EN LA PARROQUIA. 12:00 I.M. BENDICIÓN DE PALMAS FRENTE A LA PARROQUIA. Y MISA. 5:00 P.M. BENDICIÓN DE PALMAS (CELEBRACIÓN EUCARÍSTICA). 7:00 P.M. BENDICIÓN DE PALMAS FRENTE A LA PARROQUIA, Y CELEBRACIÓN EUCARÍSTICA. 9:00 A.M. MISA DE CATECISMO INFANTIL, EN EL AUDITORIO MUNICIPAL. 7:00 P.M. SOLEMNE CELEBRACIÓN EUCARÍSTICA Y ENTRADA DE LOS SANTOS ÓLEOS. 6:00 P.M. Y 8:00 P.M.: MISAS DE LA CENA DEL SEÑOR (PARROQUIA). DESPUÉS DE LA CELEBRACIÓN DE 6:00 P.M. SE REALIZARÁ LA EXPOSICIÓN DEL SANTÍSIMO EN LAS CAPILLAS. 9:00 A.M. VIACRUCIS VIVIENTE DE LA CAPILLA DE SAN MARTÍN. 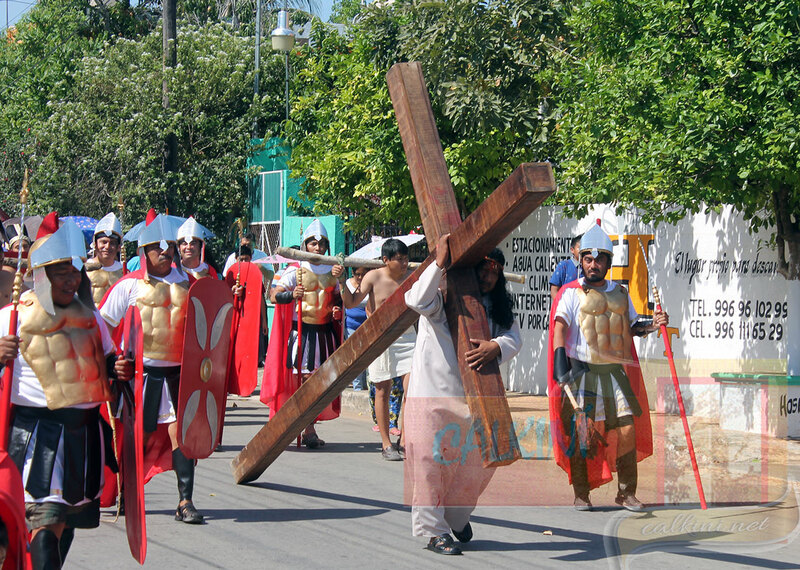 10:00 A.M. SALIDA DE LAS VIACRUCIS EN TODAS LAS CAPILLAS. 6:00 P.M. SOLEMNES OFICIOS LITÚRGICOS. 7:00 P.M. ROSARIO DE PÉSAME. 8:00 P.M. MARCHA DEL SILENCIO. 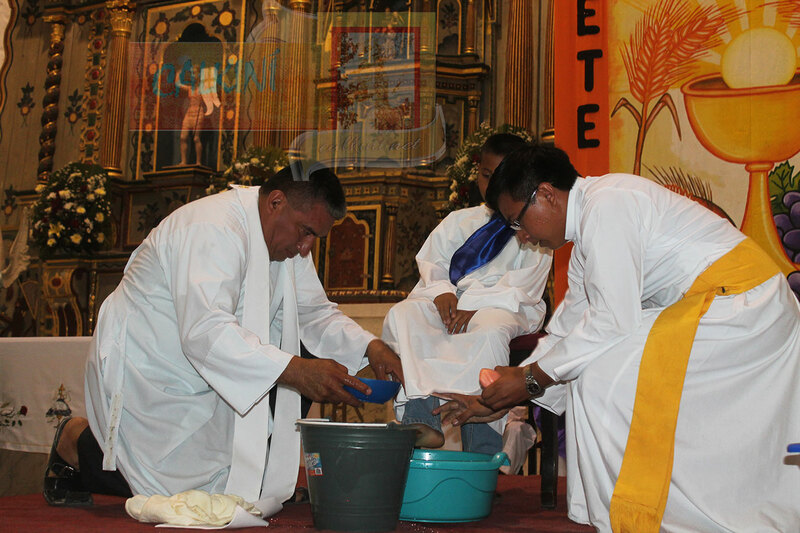 8:00 P.M. Y 10:00 P.M.: SOLEMNES CELEBRACIONES EUCARÍSTICAS DE VIGILIA PASCUAL. BENDICIÓN DE AGUA, CIRIOS Y VELAS.